Is your computer running slow? Does it get bogged down by the time you have all of your day-to-day applications open? Contact us at (519) 342-3832 for a quick evaluation to see if a simple, cost-effective upgrade will help you perform your job more effectively. Lantern Hill IT Inc. launches new website! 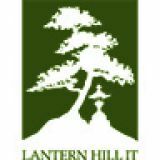 Wednesday, January 27 2016 Lantern Hill IT Inc. launches new website! Thursday, March 14 2013 What is your Identity Worth to You? Today a lot of systems of society involve the validation of an individual’s identity. It is this identity that allows individuals to obtain medical services, bank services, accommodation and so on. Basic human rights come for a price. The majority of society still struggle to value their identity, it’s not something you can hold or touch which makes it hard. But here’s a realisation – other people will value your identity even if you don’t and will stop at nothing to get hold of it.